You may like cats or cacti, there is one place you can meet people with similar interest and that’s Instagram. If you have been wasting your time on Facebook and Twitter for all these years looking for soulmates, it is time you tried this marketing genius. Very recently, Instagram has surpassed Twitter in the total number of monthly users. It became the coolest thing in the marketing world back around 2015 and Instagram is still holding its throne. The app has become more user-friendly by the day. And we simply love the new icon! Instagram now even allows business accounts just like Facebook. Now you can find popular designers, pet stores, gadget companies and lifestyle stores on Instagram and follow them. As a business owner, you can post new sales, promotional offers and new products on Instagram from your business account. If you have a personal account, you can now easily convert it to a business account. A business account has an added contact button that enables your followers can access your email, phone number and physical address of your business. You can even include map direction to your store. Instagram has also started with new advertising opportunities for new businesses. The biggest advantage is the access to a fresh audience who may be interested in your product. Instagram allows hyper-focused marketing by the use of hashtagging. You can use audience and product specific hashtags to draw the attention of your followers and potential Instagram followers. You will be amazed to see, how wonderfully the adverts blend in with the regular feed. Unless someone notices the contact button, no follower can tell the difference between their regular feed and a sponsored post. This is a great way of promoting brand stories on social media. What is Instagram’s take on Facebook live? Only very recently, Facebook finally took over Instagram with their live video streams for a brief period of time. Facebook can give advertisers 1500 reach per day, however, Instagram can right now give you a whopping reach of 11,000. Having a business account on Instagram automatically means gaining about 20 new followers each day on social media. The ubiquitous “follower” structure of Instagram makes it extremely easy to connect with like-minded people and grow your business. You can make one post with the right image and at least 10 right hashtags, you can get more like from people who don’t even follow you than your regular followers. Instagram has very recently added Boomerang and Live Video options. These make this social media app even more dynamic. Instagram now harnesses the power of Instagram to host minute-long videos. You can now add a filter to your videos, choose thumbnails and disable sound. If you are all about Facebook live right now, you can definitely move the live videos from Facebook to Instagram. You can keep reposting your old videos from Facebook with new hashtags as well to gain more followers and likes. What does Instagram say to new WhatsApp status updates? Taking a leaf from Snapchat’s book, Instagram has evolved to create pictures and videos to highlight your special products or memories from campaigns. Just like the new WhatsApp status, you can choose who sees them and they are not added to your Instagram profile. They disappear after 24 hours just like on Snapchat and WhatsApp. The only downside to this – your followers will not be able to reply or comment on your Instagram story. Possibly the best feature Instagram has introduced this far is the “edit and draw”. This one allows you to draw on your own uploaded content. You can unleash your creative spirit and this is especially great if your company deals with art. Finding your niche on Instagram can be quite tough. However, quite like Facebook, you can actually tag people on your posts and videos. So if you can get a couple of social influencers to follow you, you can tag them on your shared posts and stories. Once they comment or like a post, all their followers will be able to directly access your profile as well. Instagram is all about staying visible. So make sure you have class, flair and enough panache to get noticed in the clutter. 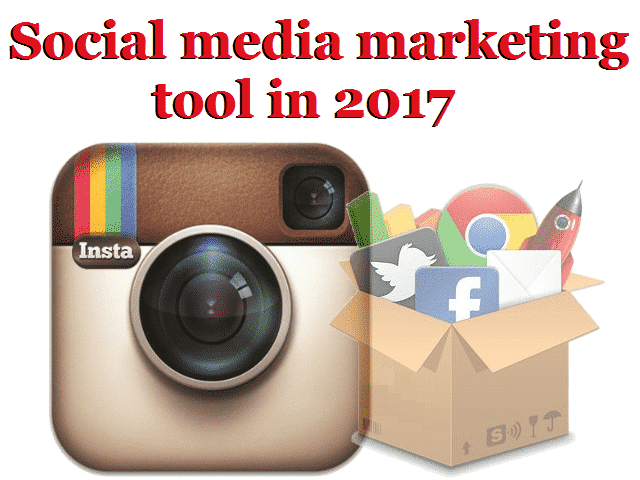 Social media marketing is cutthroat and it is no exception when you are aiming at building your brand name using a stellar platform like Instagram. Isabella Rossellini is a social media marketing expert and blogger. She knows all the tips and tricks of getting more followers. She is a prolific speaker and she usually travels the country educating young minds about the possibility of harnessing Facebook, Twitter and Instagram followers as powerful marketing tools. Should you stop advertising on Google?